Nigeria has some of the most successful entrepreneurs across the African continent. Individuals like Titi Odunfa, Tony Elumelu, Adenike Ogunlesi, and Jason Njoku have made their mark across a range of industries. While these individuals may not call themselves social entrepreneurs, their motivation to improve the lot of Nigeria and its people comes through in their work. Tweet me @kwamesompimpong if you would like to argue this point. Last week, I got to speak with Misan Rewane, a dynamic social entrepreneur who is bent on disrupting the high level of youth unemployment in West Africa. 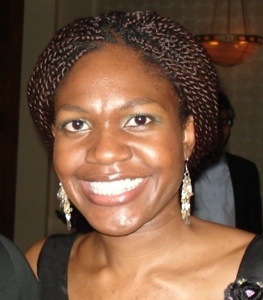 She and three co-founders hatched the idea for West Africa Vocational Education (WAVE) while at Harvard Business School. The idea led to a second-place finish at Harvard Business School’s Social Venture Competition and the team was off. WAVE provides the hospitality industry with thoroughly trained interns and future employees. The company selects participants using an emotional intelligence test that enables the team to catch innate strengths. Participants in the program take on a 3-week 150 hour mini-MBA. WAVE developed the curriculum for the program in collaboration with top local and international employers in order to provide participants with the skills needed to succeed in the hospitality space. The company uses a shared-cost model where the student and participating companies pay a portion of the cost. The student pays a portion when she starts the program and pays the rest of the cost when she secures an apprenticeship with a company, enabling her to earn while she learns. The company that brings her pays a portion of the cost as well. The WAVE team aims to be training 25,000 people annually within 5 years, with academies located across West Africa. While the company is currently focused on the hospitality industry, the team does have its sights set on expanding to other industries. Nigeria has to be one of the most frustrating and exciting country in the world. Security concerns in the country have people in parts of the country looking over their shoulder with heavy hearts. The country imports so much food when it could be such a powerful force in the agricultural space. That said, this is a country that will be the largest economy on the African continent in a few years. Enterprises like WAVE will ensure that the people who enjoy this macro position will not be just a few. Because of them, the crowd that is bullish Nigeria will continue to grow. I’m excited about linking up with Misan while in Lagos during the 2014 Innovation Excursion. Join us if you want to connect with talented social entrepreneurs focused on changing the fate of Africa. Let’s go!